We met during the long weekend (thank god for holidays!) 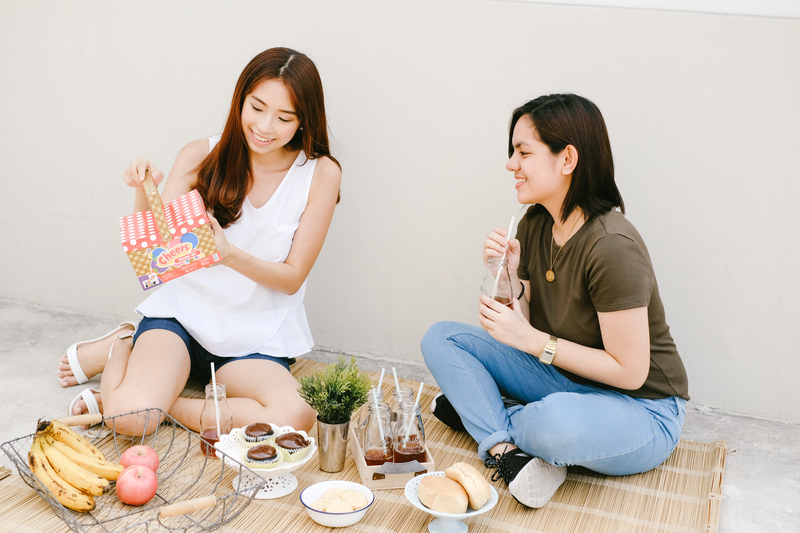 and since it’s pretty hot in Manila right now, we wanted to have an afternoon picnic. 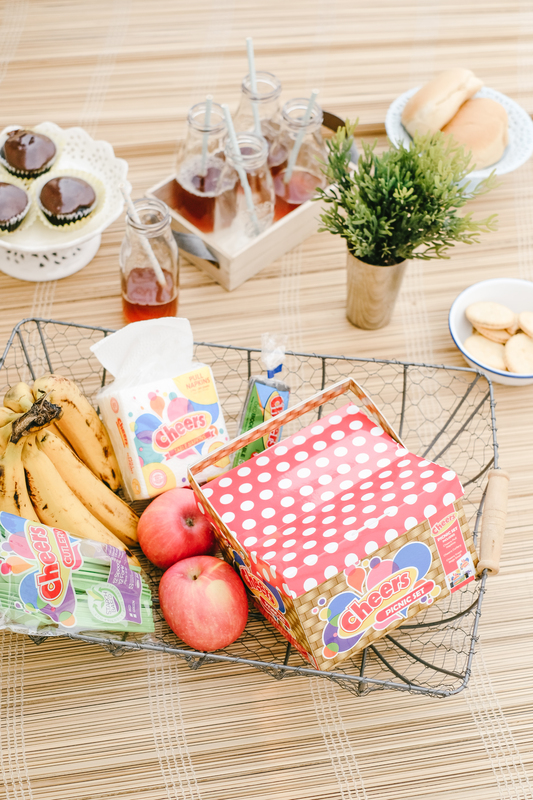 We brought some snacks, refreshments, desserts, and my CHEERS Picnic Set to complete our little reunion. Have you heard of Cheers? 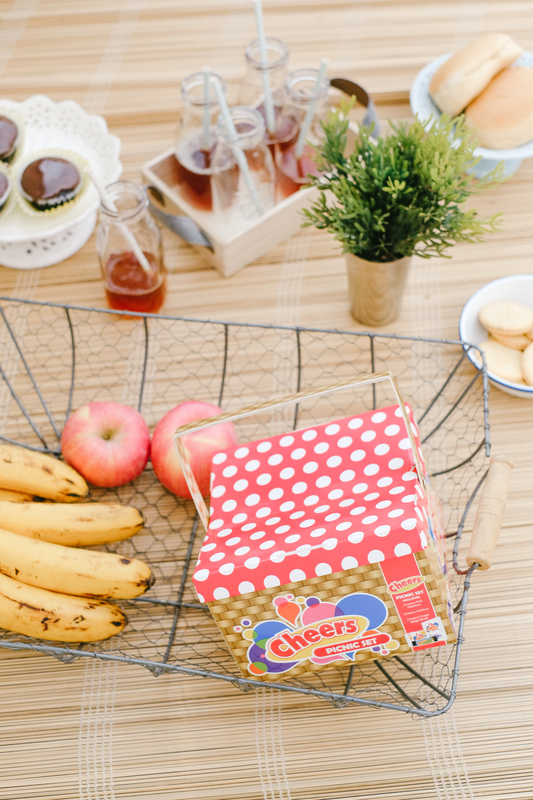 Cheers is a brand of quality hygienic napkins in all configurations, kitchen and paper towels and other party or get-together needs such as starch-based cutleries and trash bags. Think of it like your homemade party best friend! 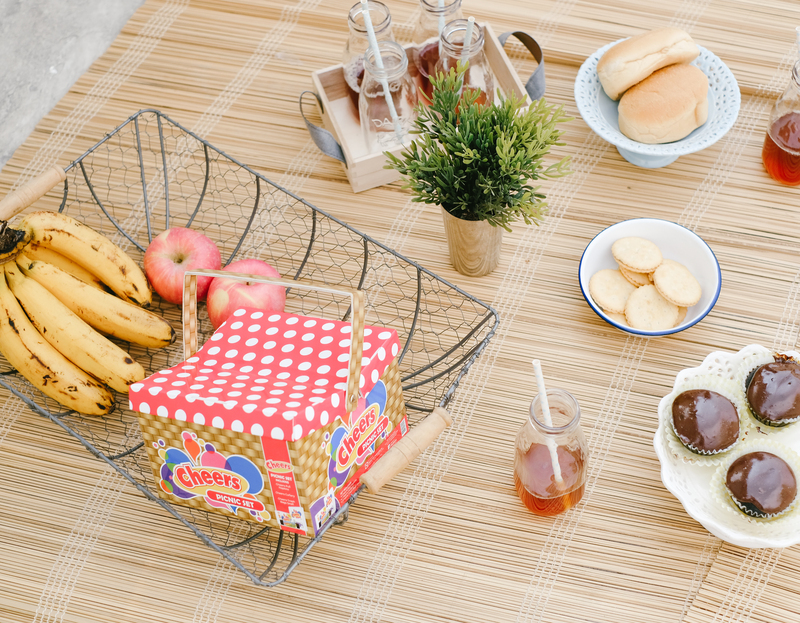 We just prepared the food and drinks since each Picnic box set already comes with a cutlery pack, pull naps and garbage bags, which are the little things you often forget when packing for a picnic, right? 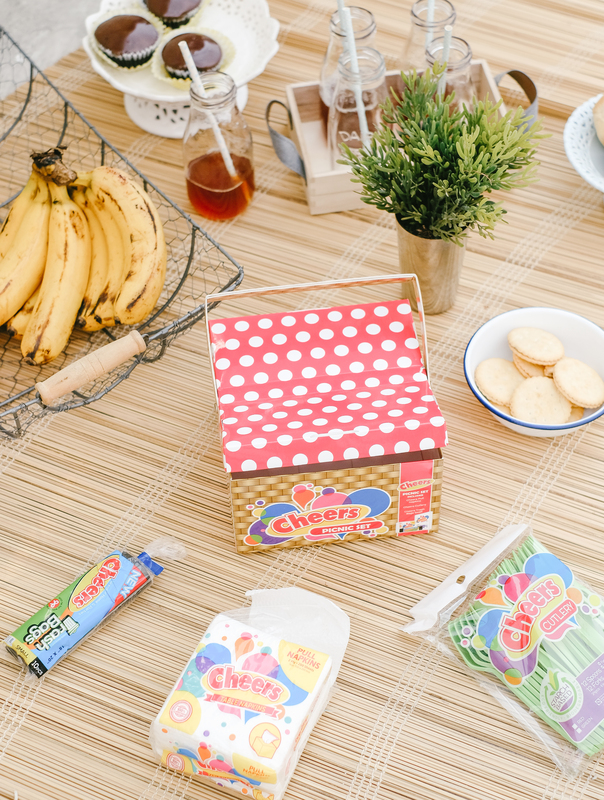 Doesn’t it fit just right in our picnic? I love the packaging! The handle makes it so convenient to bring around. 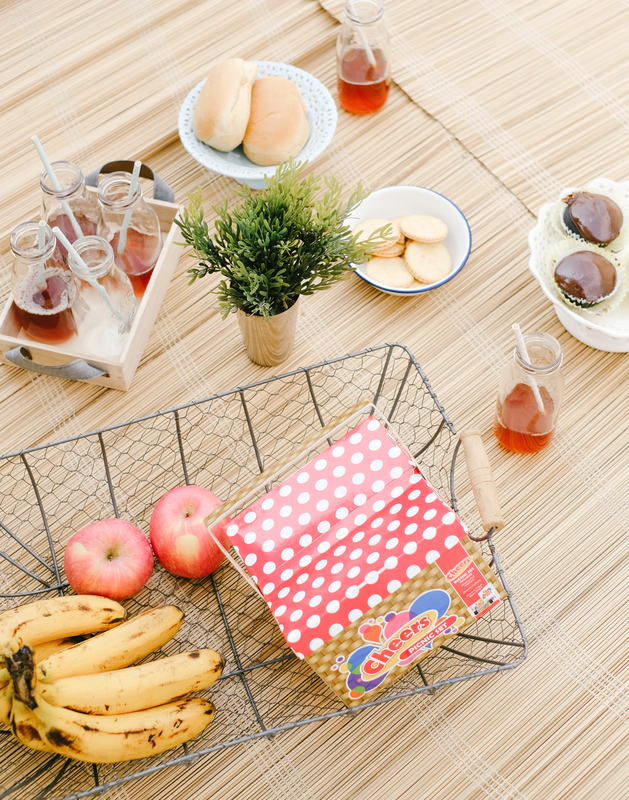 Plus, the box is so spacious I can put other picnic items and even reuse it after! So happy I got to bond with my best friend again! It’s always as if nothing’s changed whenever we see each other again, no matter how long it has been! But even if we both know that for a fact we always make a constant effort to see each other. Social media is not enough to update one another, guys! Spending quality time with the ones you love and creating new memories with little celebrations such as this show that you really care about them. If you’ve been constantly delaying a date you’ve set with your friends or family, just clear out your schedules and just do it! Based on my experience, most of the plans that push through are the ones unplanned or last-minute anyways! Cheers to mini reunions made extra special with CHEERS! 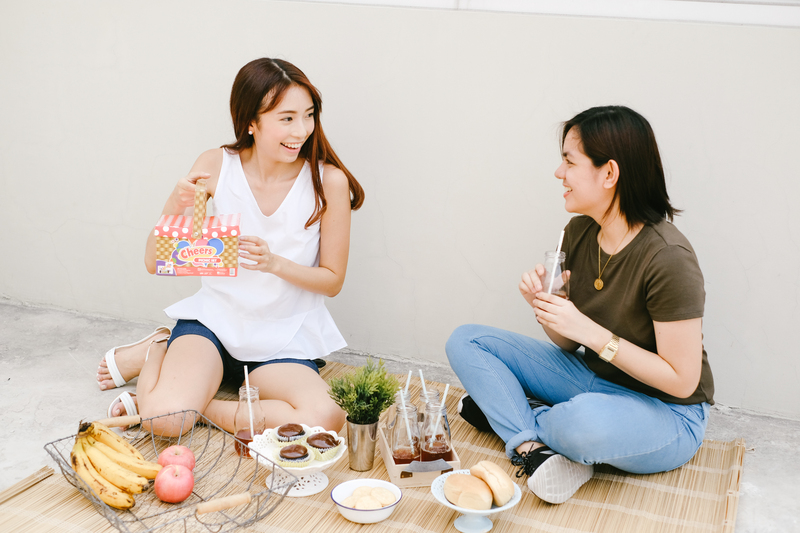 You too can have and find your own picnic set available at SM, Puregold, Robinsons, and Metro Supermarkets for only Php 60 SRP or even lower at Php 50 at some stores! Definitely a good deal since actual cost of all the products is Php 77.75.